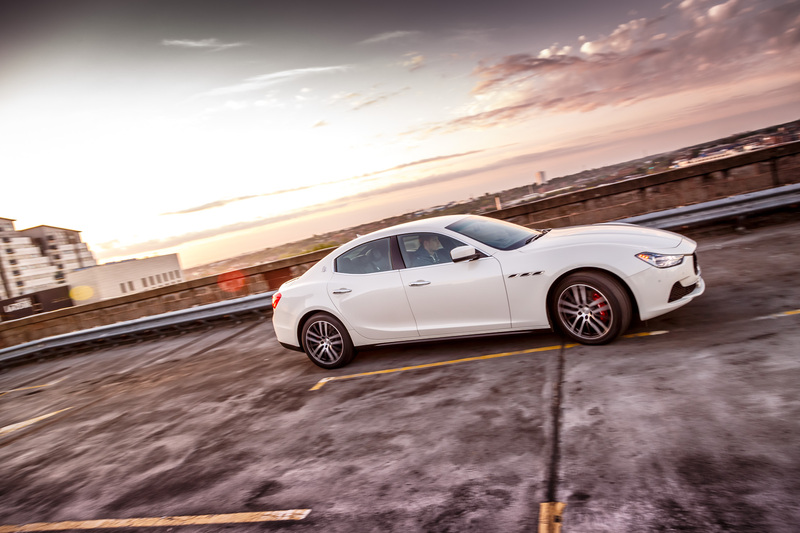 After my 5 day test drive, here are my thoughts on the Maserati Ghibli S day by day. 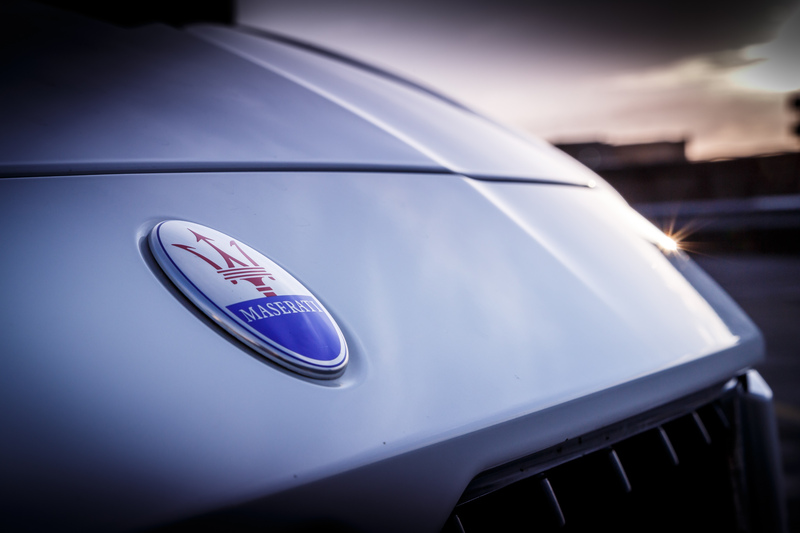 I travelled down to Slough to collect the car from the Maserati UK headquarters, which gave me the opportunity to have a quick catch up with the Maserati press team as well. From the Maserati meeting room I could look down onto the press workshop where the cars are carefully checked and prepared for journalists to test. 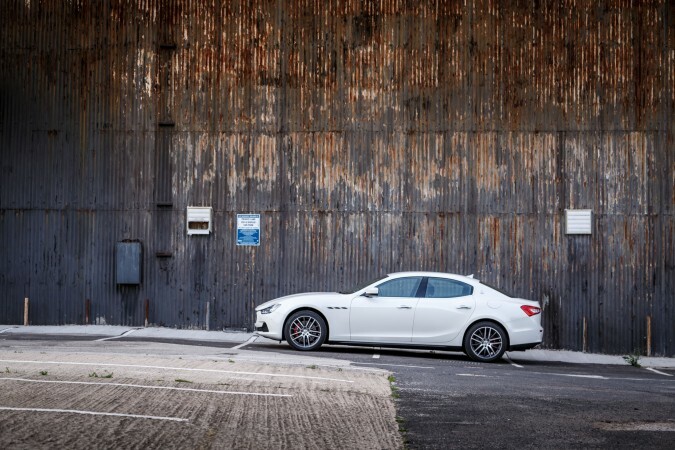 Here I could see the pearlescent white Ghibli S waiting in the corner of the workshop. 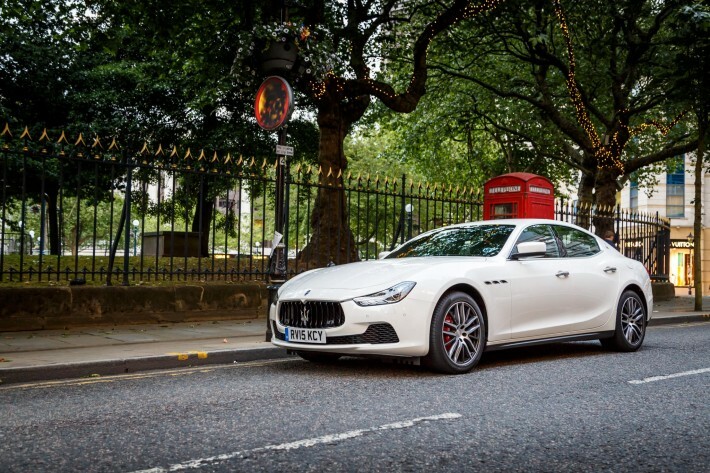 After a brief chat, the car was pulled round to the front of the headquarters and I could see the car up close for the first time.The Ghibli is certainly a good looking car. 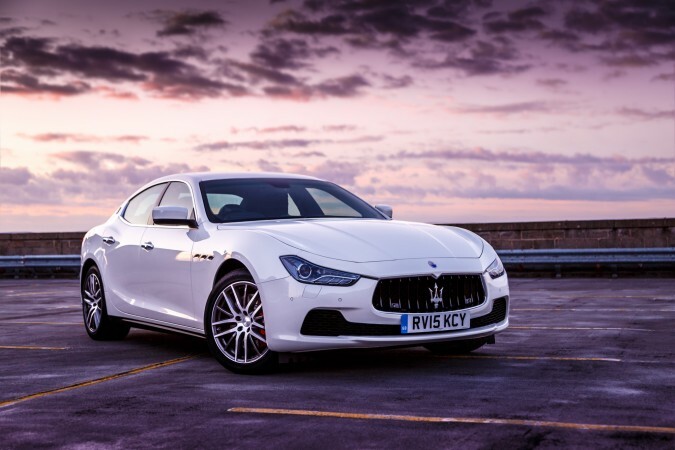 I really like the look of the front of the car, it has the famous Maserati grille and nice upwards turning headlights that help create a very aggressive looking front end. The car certainly has a fair bit of road presence. I had a 100 mile journey from Slough to Birmingham, and I was eager to jump in the car and hit the motorway to get this test underway. 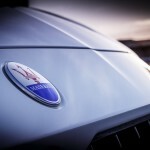 This 2 hour trip gave me plenty of time to gently break myself into the Maserati experience. 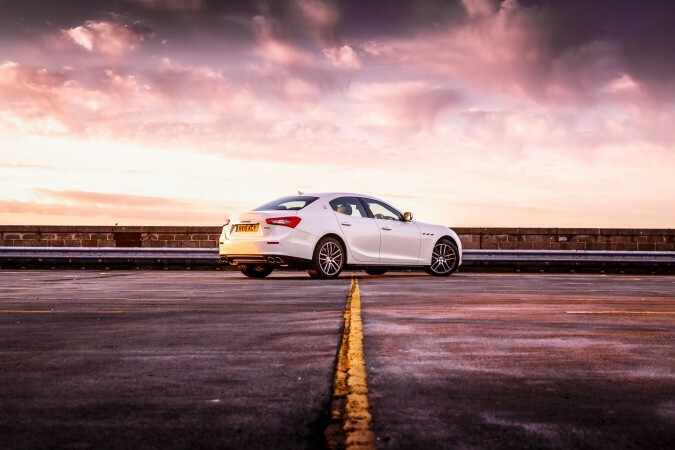 Throughout my journey, I took the opportunity to turn different settings on and off and get a feel for what everything did and what changes it made to the car’s performance and drive. Coming off the motorway back in Birmingham and having a better understanding of how the car works, I put the car into Sport mode and opened the car up for the first time. I was not prepared for what I would experience next… over 4,000rpm, and the exhaust note is unbelievable too. 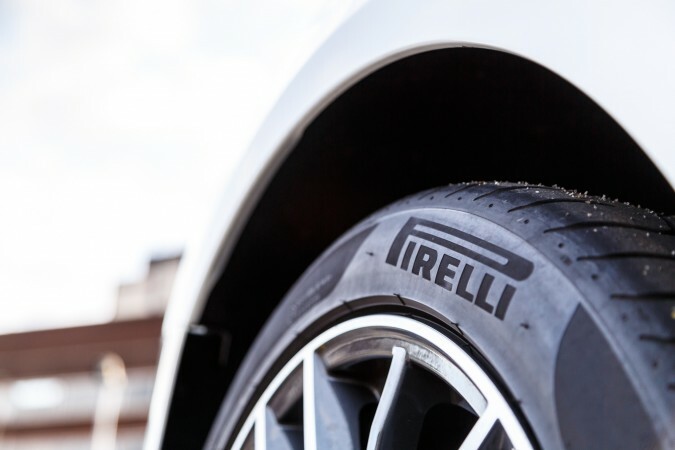 The car makes a beautiful Italian inspired fiery burble that make the hairs on the back of your neck stand up. I couldn’t believe how good this 3.0-litre V6 engine sounded. There was some further icing on the cake also, when shifting up gears the active exhaust system creates very loud pops and bangs that give you an incredible sense of fulfilment. Take a look at the video below as an example. 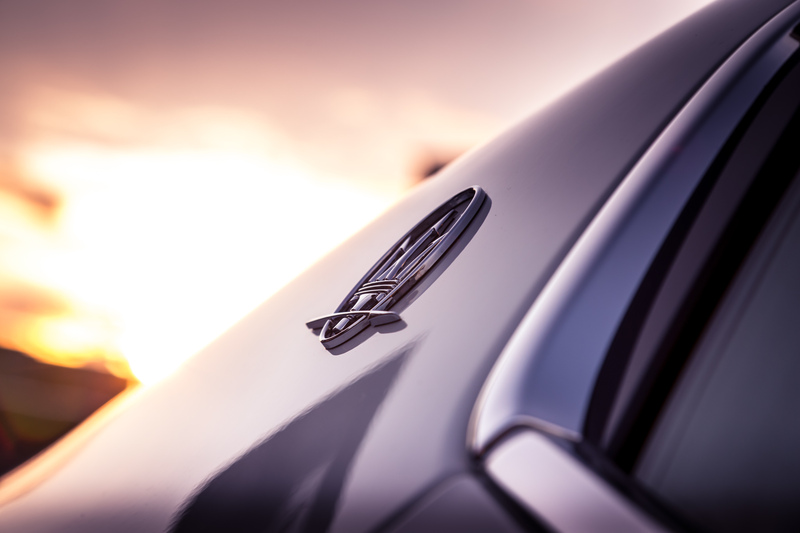 We took a 4am start in an attempt to capture some photos of the car with a nice sunset, sadly the weather didn’t quite go to plan and in fact we didn’t see the sun all morning. The skies were overcast, grey and dull. Not great for a photo shoot, but we did what we could. 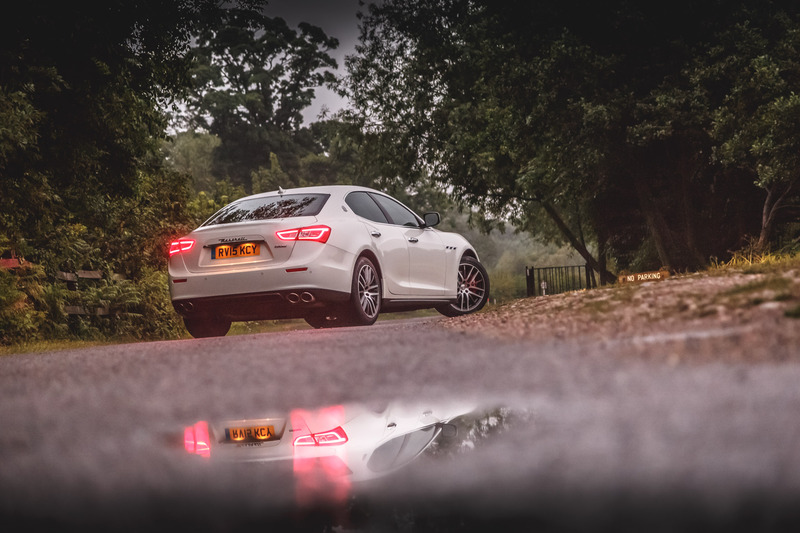 We still found some nice country lanes with surrounding woods that were heavily saturated with water. This created a low mist that we could light with the cars ultra bright bi-xenon headlights. 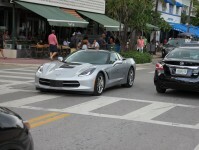 Here the car looks very powerful and shows its exploring and playful side without even moving. Having only had the car for 24 hours now, I felt I had already experienced so much in the car. 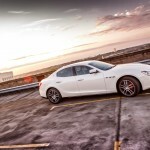 The thrill from the Ghibli S is the main highlight for me. The S is the fastest model in the Ghibli range and features a twin turbocharged, 3.0-litre V6 engine that creates 404bhp and 550Nm of torque. 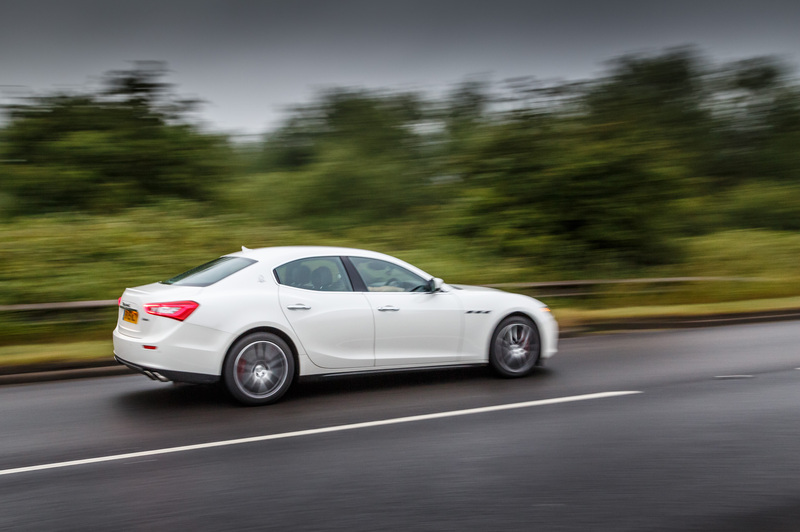 This means that the Ghibli S will get from 0-60mph in 5 seconds and will do a top speed of 177mph. 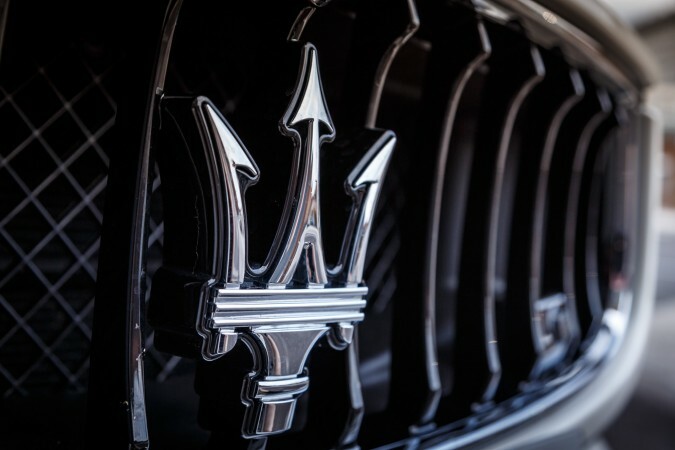 The performance figures on the car are great, but when you are in the car and you can hear that Ferarri manufactured engine screaming up the rev range and popping between gears the car feels twice as fast and will get the blood pumping of any petrol head. 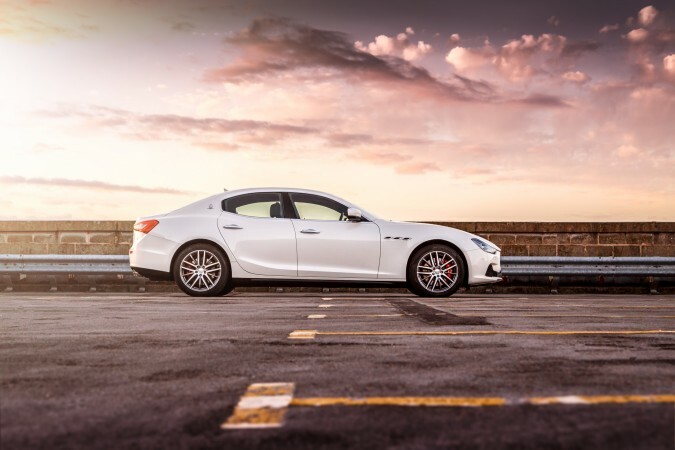 To expand more, despite being a long, 4 door, luxury saloon the Maserati still has true sports car credentials. The steering feel is reasonably heavy in your hands and provides plenty of feedback around the levels of grip. The car corners very well, helped out from its Pirelli P Zero tyres. 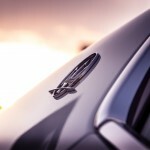 Day 3 – What Do Others Think of the Car? Similar to the day before, we took another 4am start with a hope to get a nice sunrise to show the car off in its ultimate form. Lucky for us the weather was kind to us this time and gave us the sky we were looking for. Going for a more urban location this time we set the car up, detailed some areas of the car and waited for the sun to rise. 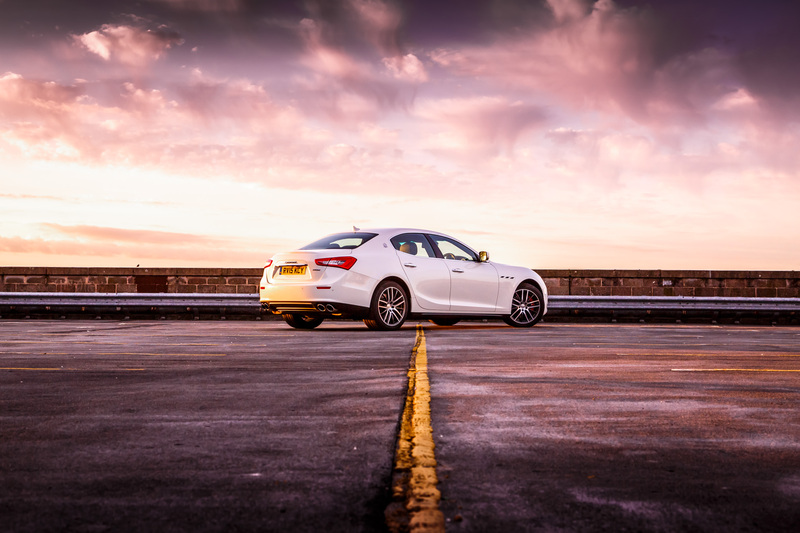 The soft light helps portray the car looking its best. 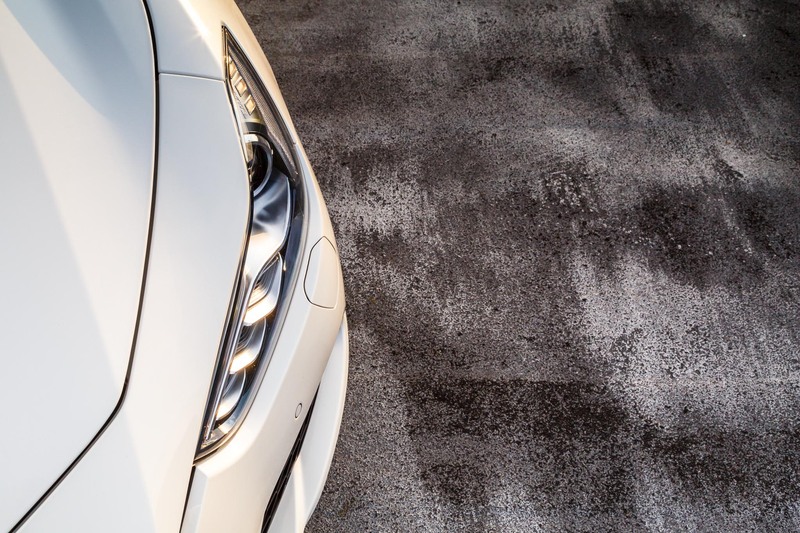 From the right angle you can see all the lines that make this beautiful car stand out. 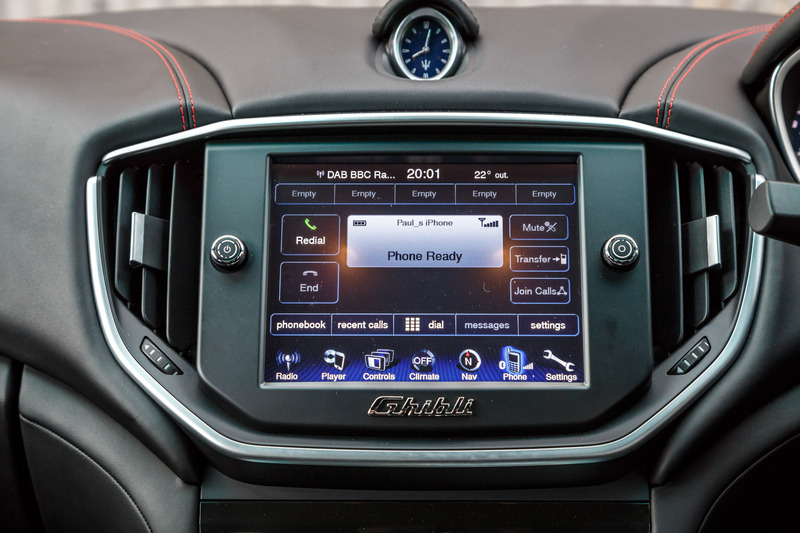 It is a prime example of car design done correctly and shows how lots of simple touches add to the overall design of the car. 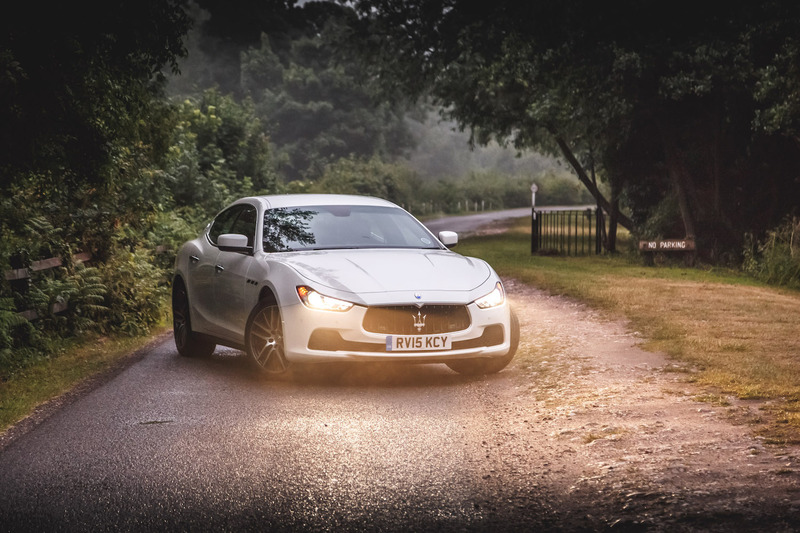 As always, I was keen to see what others thought of the car and with a few visitors due, it was the perfect opportunity to quiz them on their opinions of the Maserati brand and particularly the Ghibli. 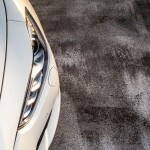 Pretty much everyone was blown away by the design elements of the car. Once people heard the car fire up they were even more intrigued to know more about it; the exhaust note really communicates the soul of the car. 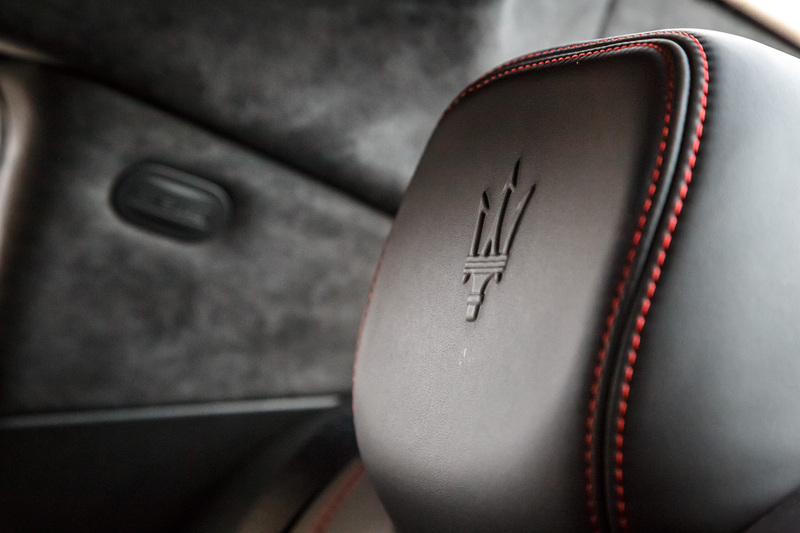 Every part of the interior of the Maserati Ghibli is just plain luxury. The model that we had on test was pretty much covered head to toe with soft black leather sewn together with red stitching. 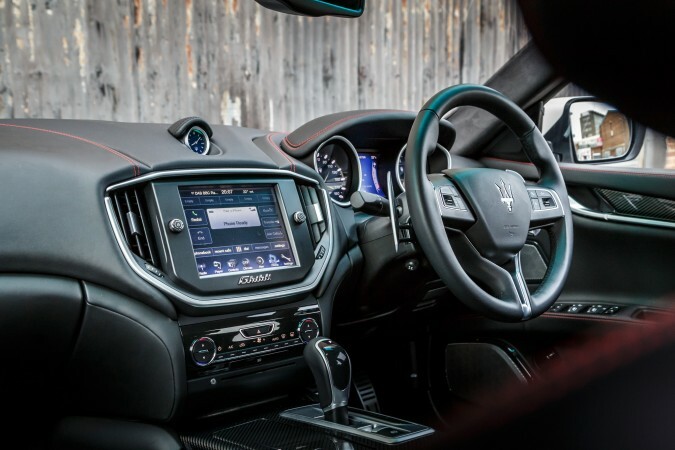 Looking around the car the interior is fairly conventional, everything is where you expect it to be, but feels 10 times better then you expect. The infotainment system has been one of the easiest I have ever used and is very responsive to your finger tips. The system controls the Bowers and Wilkins sound system, which sounds amazing. It is exceptionally loud and still holds a very good level of sound quality whilst drumming home some good bass. That was certainly a highlight from me. After spending a few days with the car I got fonder and fonder of the seat design in the car. The seats are completely electrically customisable and holds you in the centre of the seat no matter how hard you are driving the car. I also love just how good the seats look when you peer into the car, not to mention the embossed Maserati emblem in the head rest. I only had a brief 5 days with the car and put around 400 miles on the clock. On the last day I took the car through rush hour traffic, which helped me focus on the luxury elements of the car and really drilled home just how beautifully smooth the Maserati is. 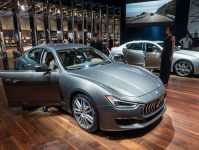 This car features Skyhook suspension which is electronically adjustable and you can also swap from Comfort to Sport mode in the touch of one button. Further more the accelerator mapping and gearbox controls are all incredibly smooth and make cruising through busy cities no bother at all. 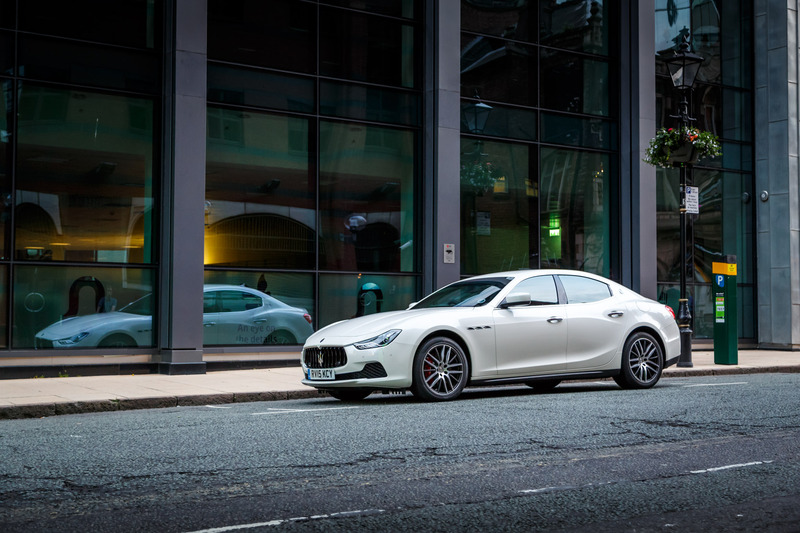 It was very difficult handing the keys back for the Maserati Ghibli S and I’m now completely hooked by its soulful exhaust sound. Sad to see it go.